In a context of poorly designed health policy decentralization processes and constitutional commitments to decentralization, what can national governments do to overcome sub-national policy inefficiencies and respond more effectively to health epidemics, such as HIV/AIDS? Examining the case of Brazil, this article argues that within these constraining political contexts, national AIDS programs can devise approaches to what the author calls “indirect centralization”. That is, by creating new conditional fiscal transfer programs based on sub-national government adherence to national policy mandates while at the same time working with local AIDS NGOs to monitor sub-national AIDS policy performance, thus increasing local government accountability to the center, the national AIDS program can sustain its centralized influence within a decentralized context. 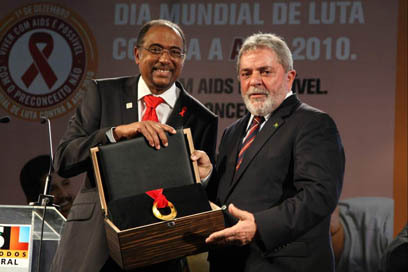 The case of Brazil provides an example of what other nations can achieve in order to ensure that decentralization continues to work effectively in response to AIDS and other diseases.